How To Fix Duplicate Content Error In Blogger Caused By Archive URLs? Home > SEO > How To Fix Duplicate Content Error In Blogger Caused By Archive URLs? Hello bloggers, if you are a serious blogger then this post is for you. 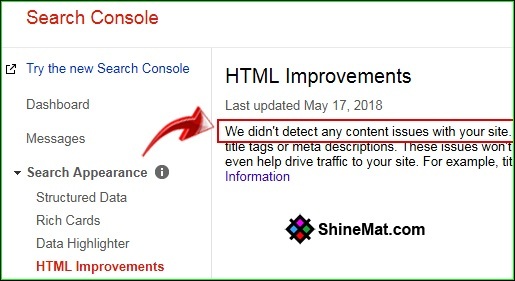 Have you noticed duplicate meta descriptions or duplicate content error on your Google search console under HTML Improvements section or any other duplicate content checker? If yes and you are looking for its solution then you are in right place. ALSO READ: How To Add NoFollow Tag To Blogger Archive Links? Why Duplicate Meta Description/ Content or Title Error Occurs? Normally Google will index your all links except those links that you have blocked manually by NoFollow tag or Robots.txt file. So, if you have not blocked your archive pages from indexing, Google will index them. Archive pages are not user-friendly search results and those pages have not their own meta titles, descriptions and contents. 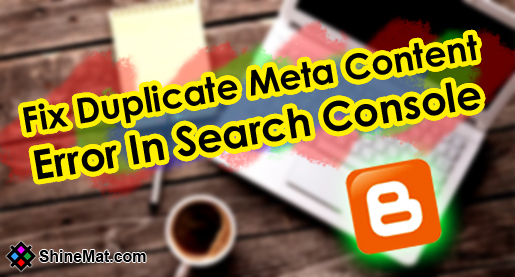 So, to meet up search engine results rules they take meta descriptions and content details from any of existing blog posts or individual pages which will occur duplicate meta description error duplicate content error in search console. It is also called internal duplicate content error or duplicate content on same domain. Note that Google duplicate content penalty is a hard kick to your blog or website. So, fix it now. 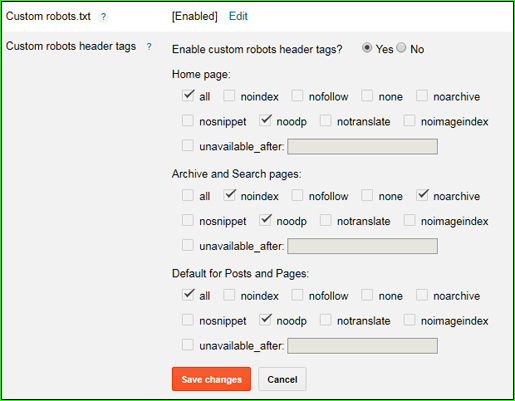 Archive pages cannot be blocked by Robots.txt file in blogger blog. You cannot remove Archive pages from search engine results by using Google link removal tool. If your question is, how much duplicate content is acceptable? The answer is ZERO will be better. According to Matt Cutts, no meta description is better than duplicate meta descriptions. So, what’s the solution to fix duplicate content error In blogger blog? Well, today I will share with you duplicate content fixing steps that shown in Google search console. I have divided this guideline into three steps and you must complete all of these. Let's start. 1. Log in to your blogger blog. 2. Go to Theme from left side menu. 7: Finally click Save Theme button. READ THIS TOO: How To Add Blog Or Post URL To Google Directly? 1. Go to Settings then click Search preferences. 2. Enable Custom robots.txt option and paste the following text. Replace the Yellow highlighted area with your own blog URL. If you see your changes in the browser than your Custom robots.txt file successfully changed. SEE ALSO: How To Submit And Verify Sitemap To Google Search Console? 1. Again Go to Settings then click Search preferences. 2. Enable Custom Robots Header Tags option and tick mark as I shown in the below screenshot. 3. 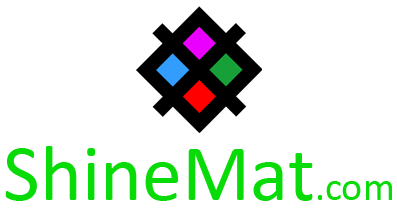 After completing check marking click Save Changes. That’s all and you are done to fix duplicate content error in blogger blog. Important Note: You need to wait at least 05 - 10 days to see the change effects. If your search engine crawler rate is good you will see results very soon. For me, it took 12 days to vanish 82 Duplicate meta descriptions from search console as well as from Google search engine results too. How To Add NoFollow Tag To Blogger Archive Links? Where Should Point Backlinks : Homepage Or Post URL?